Nishkam Karma (desireless action) is an ideal worth following, But there is a really interesting tale of great moral value – from the Mahabharat. See this – a fine exposition. EXTRACT FROM GURCHARAN DAS’S BOOK, The Problem of Being Good. Finally the disillusioned Pandavas decide it is time to leave the world. Yudhishthira reminds Arjuna: ‘Time cooks every creature in its cauldron.’ They crown Abhimanyu’s son Parikshit, Arjuna’s grandson, who continues the dynasty at Hastinapura. (It is to Parikshit’s son, Janamejaya, that the story of the Mahabharata is told at the beginning of Book One.) 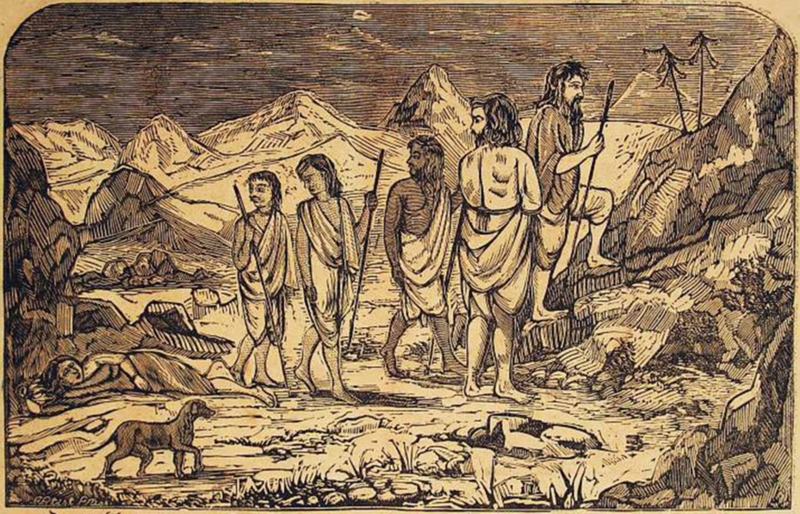 The Pandavas set out on foot towards the east, in the direction of the Himalayas. On the way, Draupadi and Yudhishthira’s brothers fall one by one. Yudhishthira trudges on alone, ‘never looking down’. A stray dog follows him. As he nears heaven, Indra, king of the gods, approaches him in his celestial chariot. ‘Get in,’ says Indra, welcoming him to heaven. ‘But this dog, O lord of the past and the future, is devoted to me. Let him come with me,’ pleads Yudhishthira. It had been a trial all along. Yudhishthira’s father, Dharma, had been testing him. Recall, Kunti could not have children from Pandu. So, she employed a boon that she had received from a holy man. Thus, she had the gods sire her children. Yudhishthira was born from the god Dharma. The epic often refers to Yudhishthira as dharmaputra, Dharma’s son, but he now meets his real father formally. Dharma is happy that his son has passed the test. This entry was posted in Philosophy.